Introducing the Carbon Fiber steering wheel trim for the 2012 F30/F31. The piece is made to fit 2012+ F30/F31 3 Series vehicle. They DO NOT fit the 320i and models factory equipped with the M-Sport package including the F12 M6 Steering Wheel. This item is precisely made with ABS material and beautifully wrapped in a 1x1 carbon fiber. Since it is made with ABS material, the fitment is guaranteed. This steering wheel trim is for someone who wants to add a motorsport-inspired look to their F30/ F31 3 series. Professional installation is highly recommended as it requires removal of your original steering wheel trim and airbag. To ensure correct fitment please view the image below of the steering wheel and make sure it matches your vehicles. 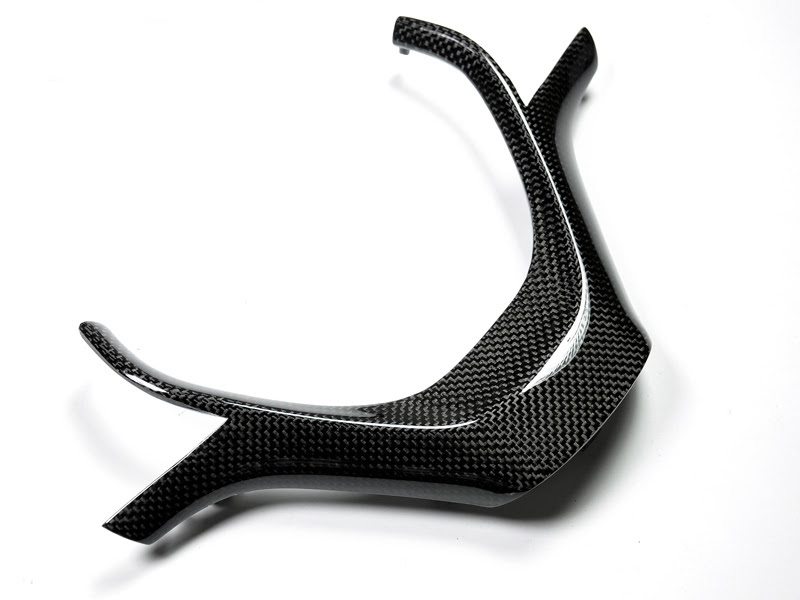 This carbon fiber steering wheel trim is a direct replacement for the OEM part numbers listed below.